Notes: The original terminus of the Stockton & Darlington Railway opened at a temporary terminus at South Church on 19.4.1842. Initially trains were steam hauled but the following day this was changed to horse power but as horses were unable to judge their footing in a dark tunnel at Shildon this was once again changed to steam power. Until the opening of the Bishop Auckland Branch to Durham and Leamside a road coach service was run from South Church to Rainton Meadows for through travelers. 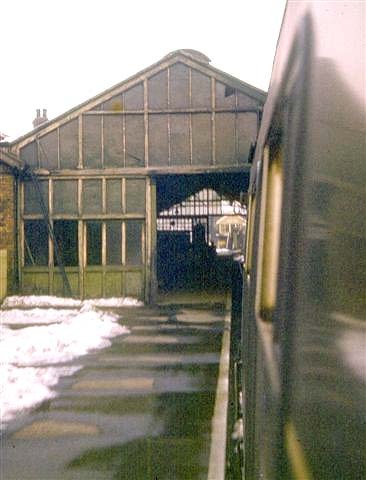 On 30th January 1843 the line was extended to a permanent Bishop Auckland station. The North Eastern Railway opened a temporary terminus in Tenter Street on 1.4.1857. 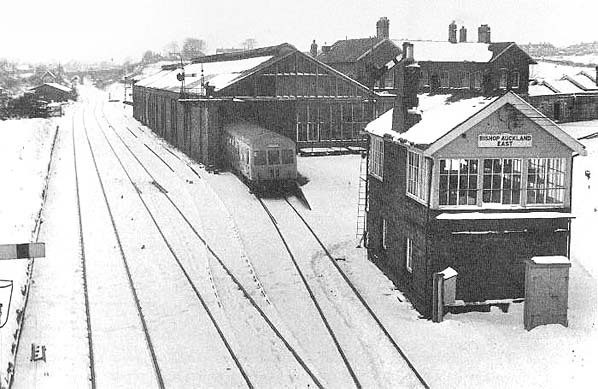 The Stockton & Darlington and North Eastern stations were replaced by a joint station about December 1857. The station was rebuilt on 2.12.1867 and rebuilt in its final triangular form in 1905. 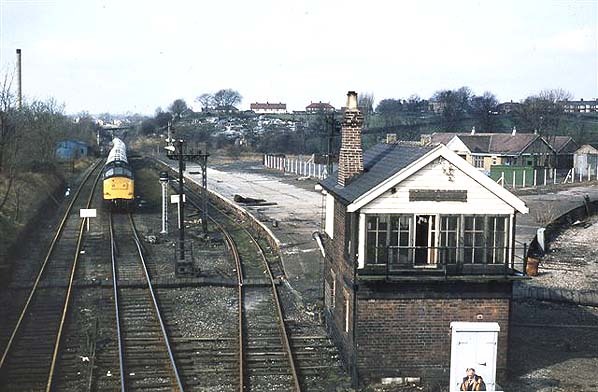 The original station was closed on 6.6.1986 with a new short single platform being built on the site of the Crook platform on the southern side of the triangular station serving trains from Darlington. A campaign to save the line west of Bishop Auckland, now known as the Weardale Railway, began in 1993 with the threat of closure and track uplift a real possibility after the last cement train ran. Until 2004, the line was mothballed, but purchase by Weardale Railways Limited has now been achieved and the first works trains began running in 2004 in preparation for the reopening of the first section between Stanhope and Wolsingham in July 2004. 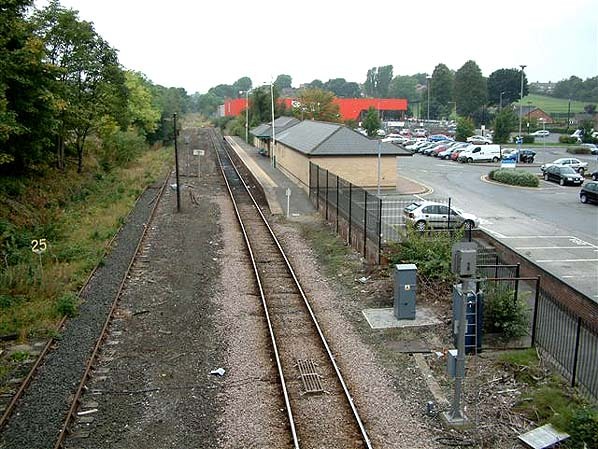 The 'new' platform at Bishop Auckland in October 2005 taken from the same viewpoint as the picture above. 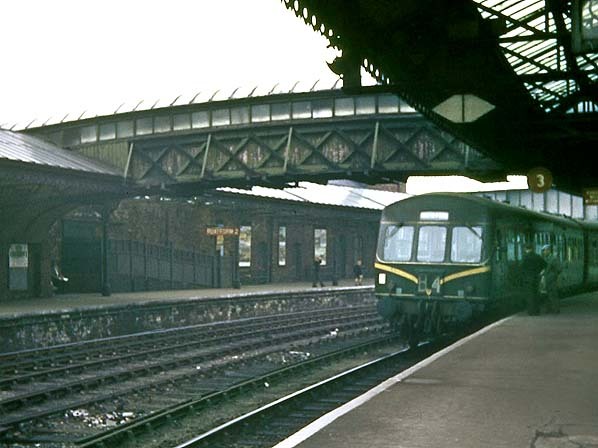 This was built on the site of the original Crook platform, a remnant of which remains at the far end of the platform.